I was quite excited to head about Massdrop and Fostex teaming up to offer the TH-X00, a headphone created by the same OEM company that produced headphones for Denon (the legendary D2000, D5000 and D7000). 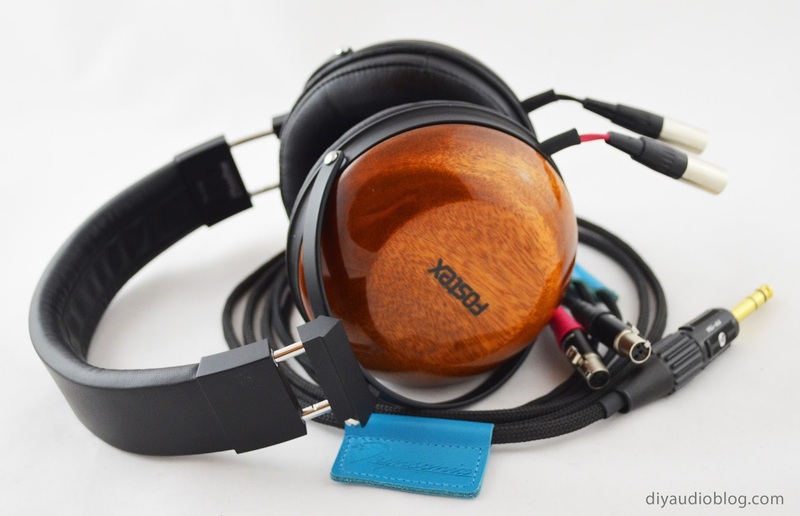 I still to this day feel that the D2000 was the best headphone in this price range, and the D7000 is still an amazing sounding headphone compared to the latest and greatest. With this Massdrop Fostex team up, audio enthusiasts would be able to get very solid drivers that are similar to the Denons with luxurious wood cups at a very attractive price point. An interesting phenomenon with the Denon headphones was that they were extremely receptive to a new cable (despite the stock cable being fairly decent construction). In fact the sound changed more than any other headphone I've heard, aside from the HD600, which was close (try a solid silver in teflon cable and a Cardas copper cable side by side with that one). 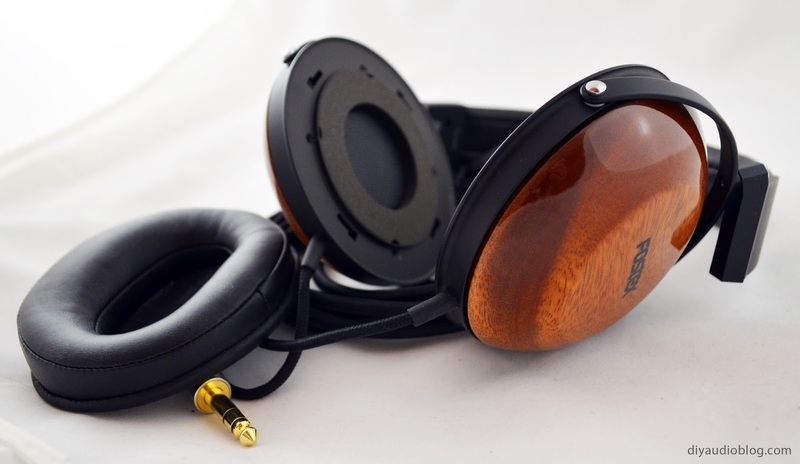 The TH-X00s seem to follow that trend from my brief impressions (had to get them back to a client quickly). I found the Zynsonix Xev had nice synergy with the D2000, opening up the highs and adding coherence, so that's what was used with the TH-X00s. The Xev is a silver clad copper design which has a detailed signature. It's hand braided, which you can see below, from a four wire litz braid to two twisted pairs, then sleeved with a soft black non-microphonic sleeving. 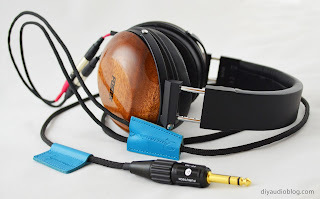 This particular headphone would have a removable/replaceable cable cable option, so whenever there is an option, I prefer to use 4 pin mini XLRs. They have a great connection, lock in place, and are used for many Audeze headphones. Since few headphone manufactures use the same connectors, we can try and standardize to some degree, so this design would not only be able to use Audeze cables, but the cable could also be used with Audeze headphones. For that to happen, the pins need to be shorted on both sides (male and female), note the small piece of bus wire connecting two pins below. You can learn more about this in a previous post. 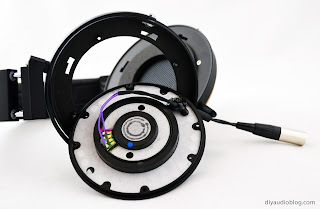 You guys have seen me build enough cables, so we're not going to cover that, but how the wire is attached internally in the Fostex TH-X00 headphones. The pads have four plastic connectors that fasten to the cups, twisting them to the left allows them to be removed quickly and easily. Four screws need to be removed to remove the wood cup from the frame, then another four screws are removed to separate the driver and wood cup. The existing cables feed in through the frame, go about an 1/8th of a turn up the cup, then enter the driver chamber. At that entrance point the cable is tied in a knot and there is a bit of epoxy/rubber cement that holds the old cable in place as a strain relief system. It's important to recreate this with the new cable to prevent damage to the soldering tabs on the driver from an inopportune yank. 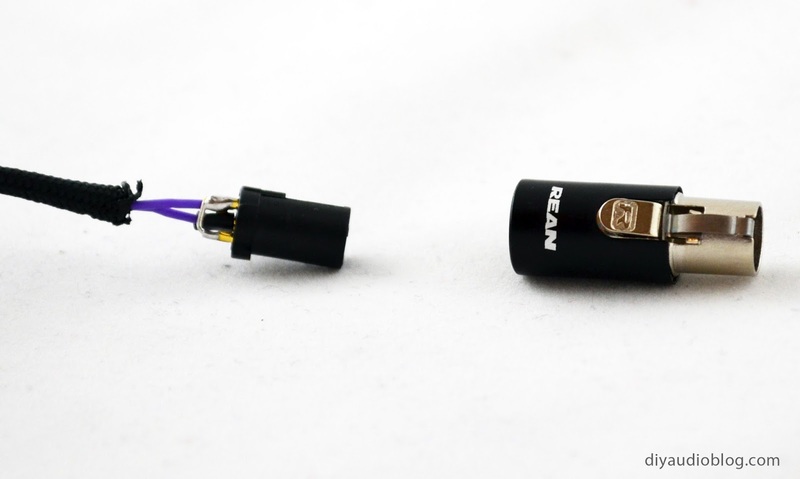 I personally use a special adhesive gun that creates a plastic-like joint holding the cable firmly in place. The wire is soldered to the top two pins, the red marked one being positive, the other negative. These joints should be quickly formed to avoid harming the driver and/or the thin wires leading to the diaphragm. 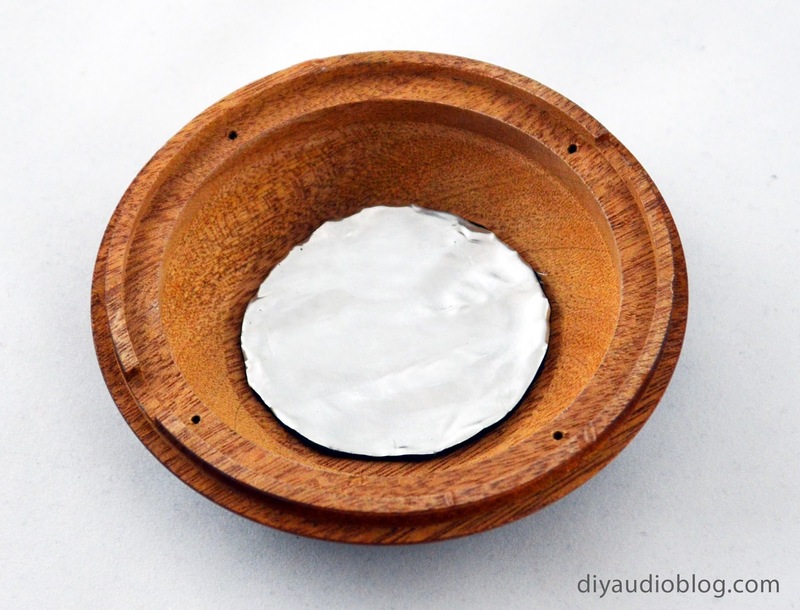 While everything is taken apart, it's a good opportunity to add a bit of mass damping to the inside of the wood cup. Dynamat Xtreme, or other automotive based damping materials work here. This helps tighten up the bass. Tweaking the amount can be to preference. Since the cup is nice solid wood, only a moderate amount is necessary. Were it flimsy plastic, it would likely need a lot more. If you've taken the plunge on a sweet set of Massdrop x Fostex TH-X00s and are itching for a recable, please check out Zynsonix Audio. 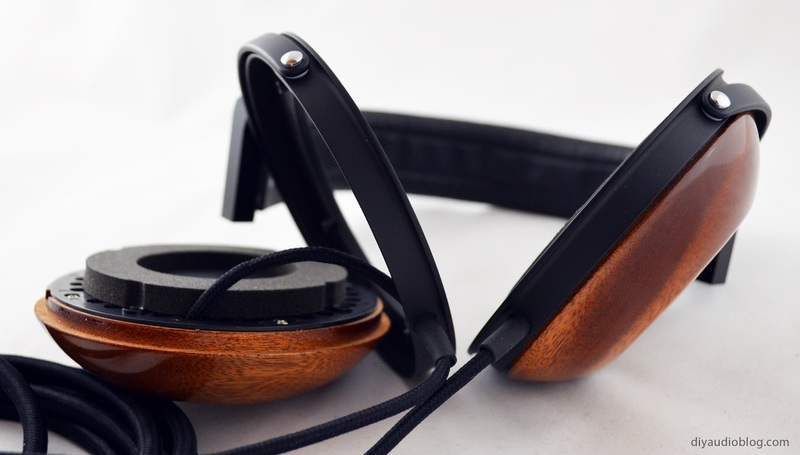 The above steps detailing the modification and re-cabling of a headphone are for entertainment purposes only are not intended to be instructional. The owner of this blog and all associated parties can not / will not be held responsible if you attempt the process posted and cause physical harm to yourself, your surroundings or your property. it is possible to mod the TH-x00 to balanced cable for use with the LH v2+ balanced output? Im need to this. sorry if it sounds stupid.